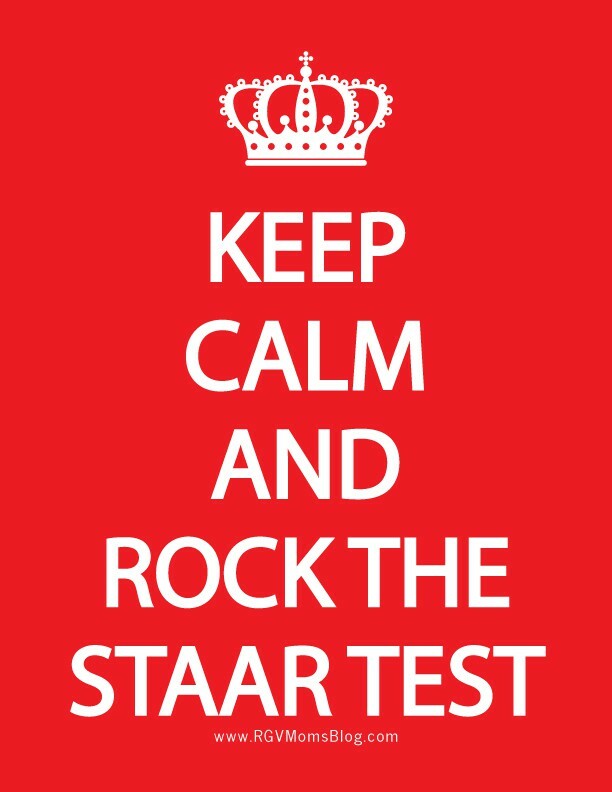 staar testing begins next week! *The adjusted schedules for those days will be sent out when testing nears. 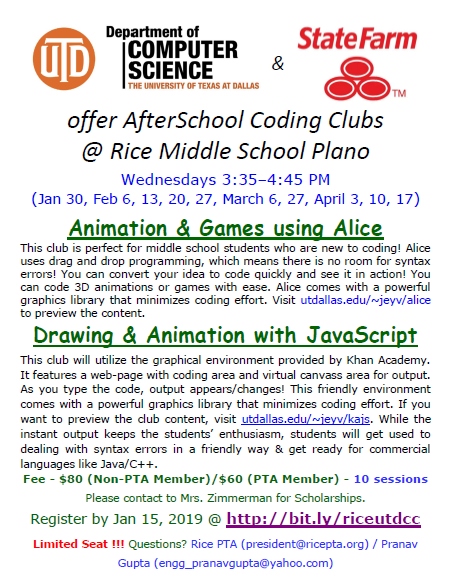 Rice Middle School offers a scholarship to graduating high school seniors in Plano ISD who previously attended Rice Middle School. 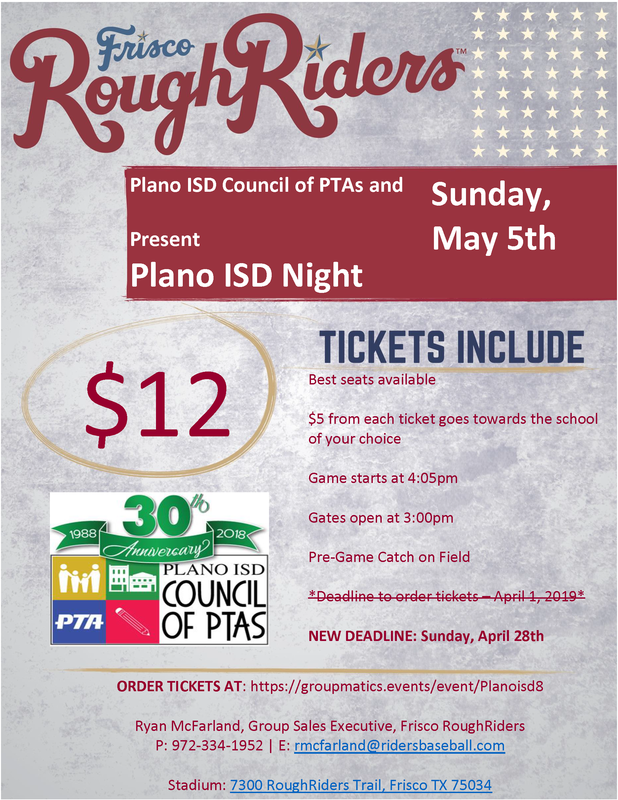 During 2018-2019 school year Rice Middle School PTA will offer one scholarship of $500. A completed application and a verification of enrollment (VOE) from their current Plano ISD school must be received by April 1. Click here for details and the application. Rice Middle School is having an activity-filled block lunch for the students on Friday, January 25. This extended break is all about choice, community, and growth, giving the students an opportunity to explore other interests and activities with a variety of staff members. Volunteers are needed to monitor stations around the school from 11:30am to 1:20pm. Volunteers must have completed a Plano ISD Volunteer Application for the 2018-2019 school year at pisd.edu/volunteer. Thanks in advance for supporting our Rice community! Volunteers are needed to monitor stations around the school from 10:45am to 12:40pm. If you are willing and able to help, please sign up for a slot here: https://www.signupgenius.com/go/30e0e4cabab2aa64-block1. Note that volunteers must complete a Plano ISD Volunteer Application for the 2018-2019 school year; please visit www.pisd.edu/volunteer to fill out this quick and easy form if you have not already done so for this year. Thanks in advance for supporting our Rice community! Contact volunteers@ricepta.org with questions. Help us collect all item on Ms Martinez's wishlist to create and organize her flexible seating classroom. 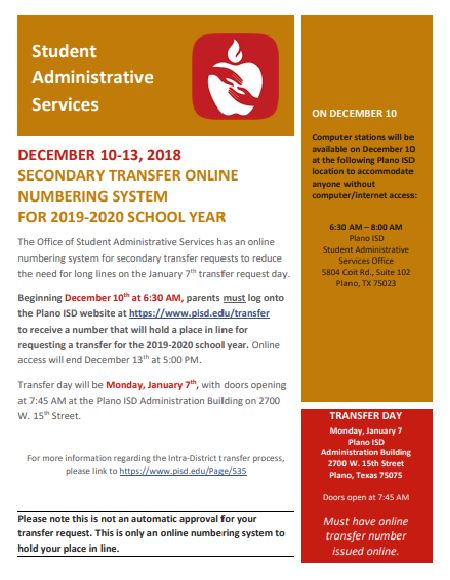 The On Line Numbering System for SECONDARY transfer requests for the 2019-20 school year will be available beginning December 10th at 6:30 am. Parents must log in beginning December 10th to receive a number to hold a place in line for them on the January 7th transfer day.